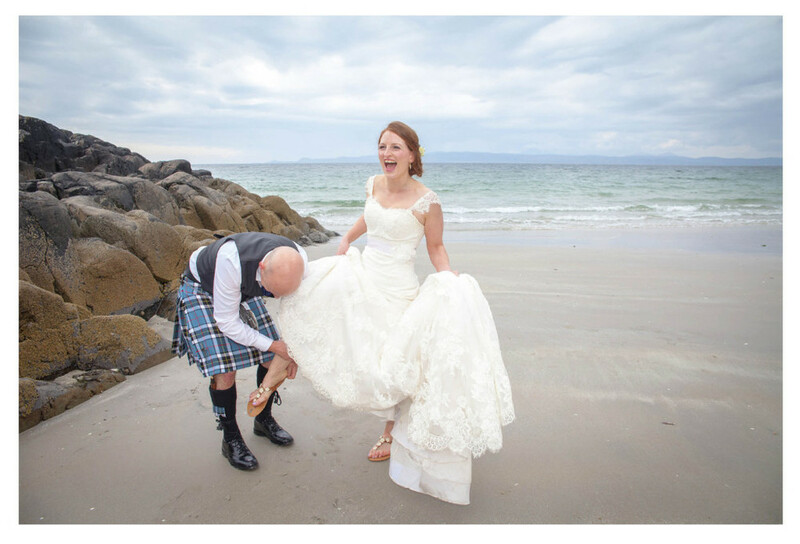 Christina and Kenny's wedding at Camusdarach beach and Arisaig House was on 21st June. I just LOVE all the little details in this wedding and I'm sure you'll find it very inspiring! Big thanks to Brian and Paula from Crieff Photography for sharing their images of the day! "Camusdarach beach is one of our favourite beaches in the world, and we’ve camped there lots of times. I also have family from Skye so being close by felt important to me. It’s a very special place to us both and we immediately knew this was where we wanted to get married." 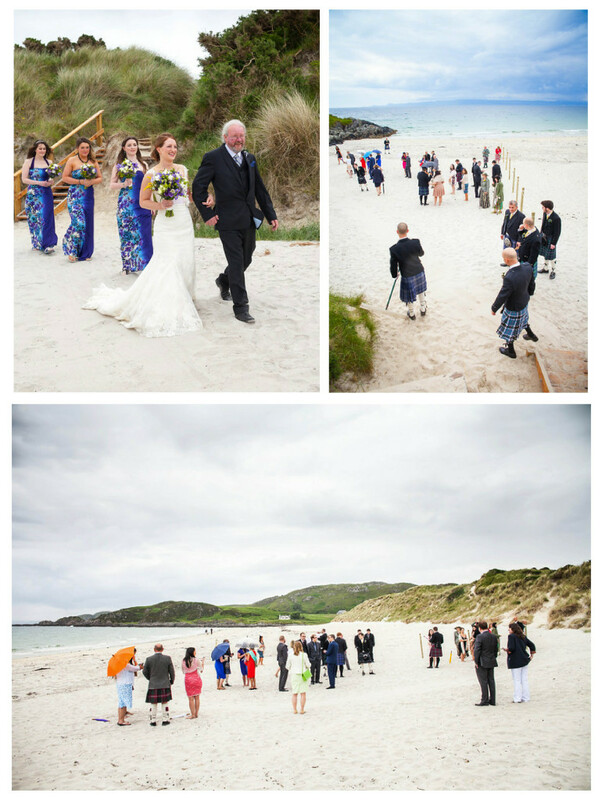 "Having decided to have the ceremony on Camusdarach beach we began to look at local venues to hold our reception, and as soon as we drove into the driveway of Arisaig House we knew it was perfect. It’s such a beautiful and special house, but with a lovely relaxed and informal feel. The food is also fantastic!" "I loved planning every part of the day, but I especially loved sharing in the planning of all the little details with our parents and best friends. So many people helped us to put the day together, from my dad baking the wedding cake to my sister cross-stitching all the place names. There were lots of lovely days across the year spent with family and friends sharing ideas and putting everything together, from nights in sorting out details over a few glasses of wine with my mum, to picking elderflower in the sunshine with my bridesmaids for the favours. It also gave me and Kenny an excuse to take some more long weekends away in Arisaig, which was great!" "There were lots of parts of the day that Kenny took the lead in planning, like arranging real ale kegs for guests to pull their own pints and coming up with the idea of a fun quiz on the back of our own personalised beer mats (there’s a bit of a theme emerging!). Kenny was a really big help with all the planning, and ultimately our wedding day really summed us up as a couple." "I went dress shopping with my mum and sister and found my dress in the first shop we went into! I’d booked a day of appointments and had arranged to start at Bliss Bridal in Edinburgh, who sell once worn and sample dresses, making them much more affordable than many of the other bridal stores. We had the whole shop to ourselves which was ideal and I had plenty time to try on lots of different styles of dresses. I actually loved the very first dress I tried on and almost got that, but as soon as I put on my dress it just made me smile! After going to one more appointment and having a think over lunch, I couldn’t get it out of my mind and so we rushed back to get it before someone else found it! It’s such a special dress and so beautifully made. With the help of the wonderful seamstresses at Gemma Sargent in Edinburgh I had some lilac ribbon added at the waist line, and some lace flowers. 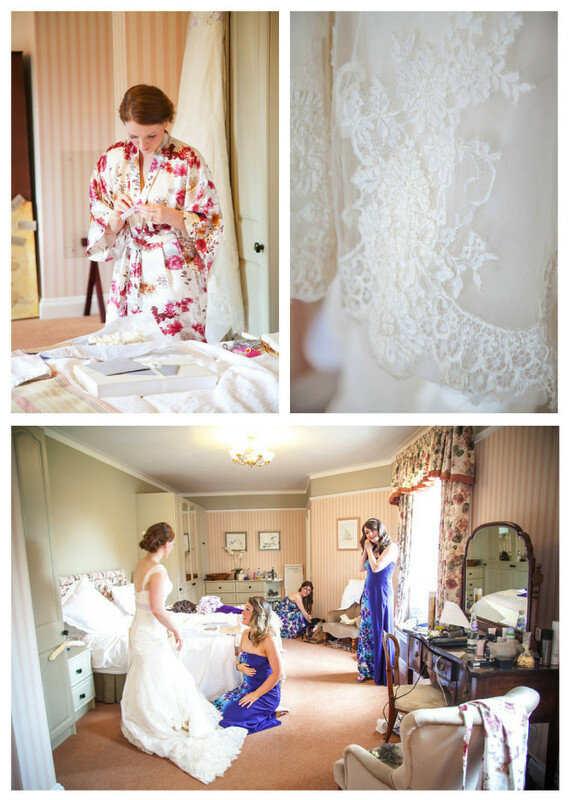 I think adding my own details to the dress made it feel even more special, as I know there’s no other dress like it!" "My favourite part of the day was probably the ceremony. Walking down onto the beach with my dad and bridesmaids and seeing so many of the people I love the most all standing on Camusdarach beach was amazing. Standing next to Kenny in front of all our friends and family, and looking out across the sea to Skye, was everything we could have asked for from our wedding day." "I love arts and crafts and so putting together all the wee details of the day was so much fun! I made all the invitations myself, as well as lots of paper flowers to decorate the tables, and homemade elderflower cordial for the favours. We had a world map table plan, and table names showing some of our favourite places we have visited. We had a lovely guest book “tree” so that guests could hang their well wishes and messages from brown paper leaves. It was so nice to look at the next day, and it looked really pretty with all the lovely messages hanging together. I think my favourite detail though was my arrangement at the beach marquee, where I put together a table of sun cream, sunglasses, picnic blankets, umbrellas and “pac-a-macs”, with a sign saying “Come rain…or Shine!”. I hoped that providing all these little bits and pieces would be a bit of fun and help everyone to feel comfortable on the day-whatever the weather threw at us!" "I have lots of lovely clear memories of the day. The ceremony was probably my favourite part of the day, but I also had a lovely morning getting ready with the girls, the meal was fantastic, and the ceilidh so much fun! I think my other clear memory of the day is of the speeches, which were brilliant. I was very proud of all of them for doing such a great job!" "I think my advice to future brides would be not to get too caught up in everything being “perfect”. With so many people all in one place, and with so much going on in one day, there are bound to be moments that don’t go exactly to plan. But at the end of the day you will be surrounded by the people who love you most, who will all want to help make sure you have an amazing day!" "I think it’s also important to keep in your mind throughout the planning what is most important to you both as a couple. I think it can be easy to get caught up in the planning and end up with things that you didn’t want in the first place! I think it really helped us to hold in our minds throughout the planning that we wanted the day to fit with us as a couple, to be a relaxed day with friends enjoying good food, a few drinks, and some good music! We knew from the start where we were happy to spend more of our budget, and where we felt happy to add a 'homemade' feel! There are so many beautiful weddings and ideas, but I think knowing what is right for your day really helps to create a special and individualised day." "We love all of our photographs. Brian and Paula captured a narrative of the day, allowing us to put together a story of your wedding day using such beautiful images. Saying that, I do love the photo of Kenny helping me put my sandals back on at the beach! 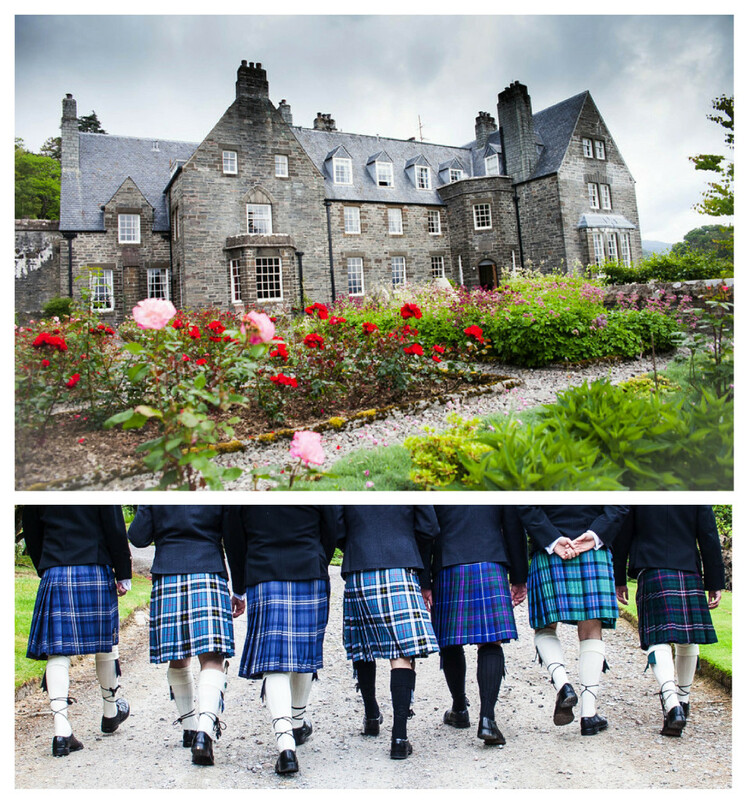 But Kenny’s favourite is probably the one of all the boys in their kilts walking down the driveway at Arisaig House. There really are too many to choose a favourite!" You can catch Brian and Paula from Crieff Photography on their website, Facebook or Twitter.